If you watched the television show, The Office, (the American version) you will remember Dwight Schrute. Dwight was the nerdy coworker that irritated his coworkers with comptetiveness and his lack of social skills. His coworkers Jim Halpert and Pam Beesly could not resist from pulling pranks on Dwight which delighted the rest of the staff. Dwight also owned the family beet farm and he later turned the farmhouse into a bed and breakfast. 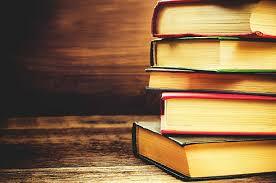 Now, the actor portraying Dwight Schrute has published a memoir of his life. Wilson describes his geeky childhood, or in his own words, “bone-numbingly nerdy before there was even a modicum of cool attached to the word.” Rainn talks about his life as a drama geek or as he describes it, “the highest rung on the vast, pimply ladder of high school losers”. Wilson talks about his life as a struggling actor in New York, his episodes of debauchery (but he was not that bad), and how he came to have the sense of humor that we know and love him for today. His fans will be delighted with his tales and insights from working on The Office. 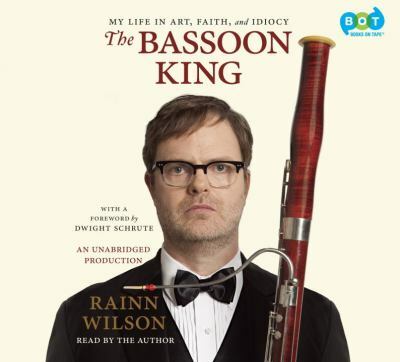 The Bassoon King: My Life in Art, Faith, and Idiocy is available in print and on audiobook. Rainn Wilson narrates the audiobook and the forward is by Dwight Schrute so I would recommend listening to the audiobook.